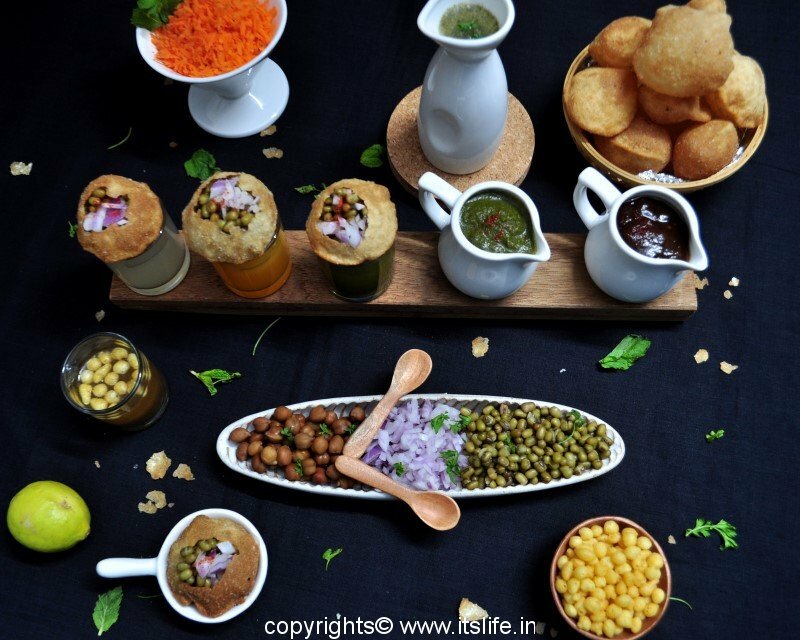 Pani means water and Puri means small deep fried puffed bread. 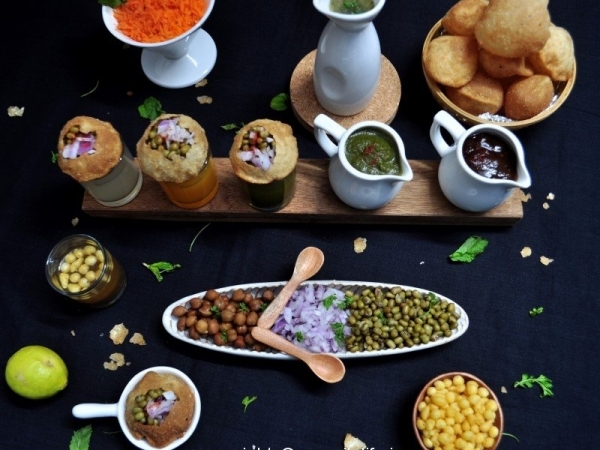 This is an extremely popular street side snack originally from Benares but is now popular all over India. 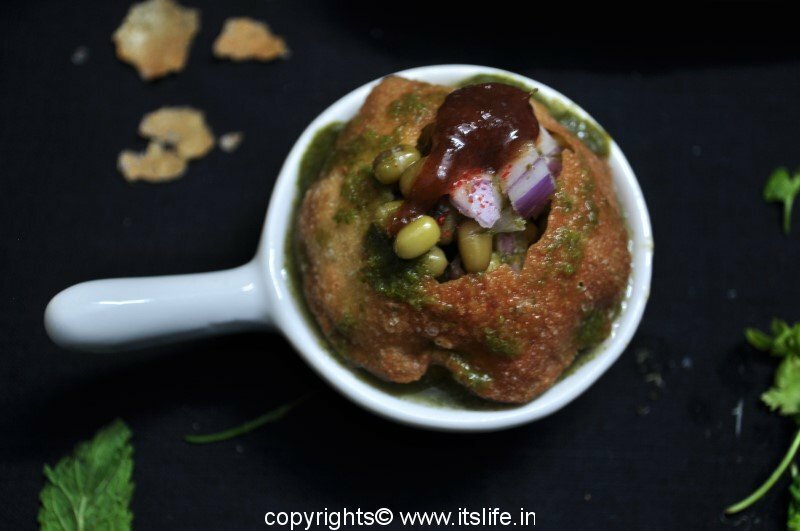 The Puri is stuffed with Green gram and filled with tangy, sweet and spicy water and the whole puri is stuffed into the mouth and relished. It is called by different names with different filling. 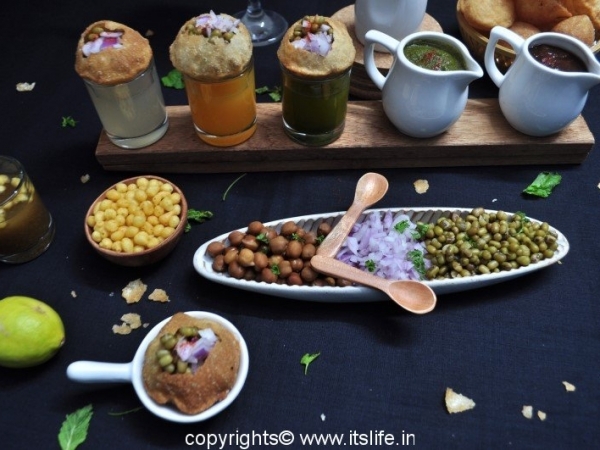 This is also called as “Puchka” in West Bengal, “Pani ke Baththashe” in Uttar Pradesh and Golgappa in parts of North India. Soak Green Gram for 4 hours, boil with Salt and sieve. Keep aside. 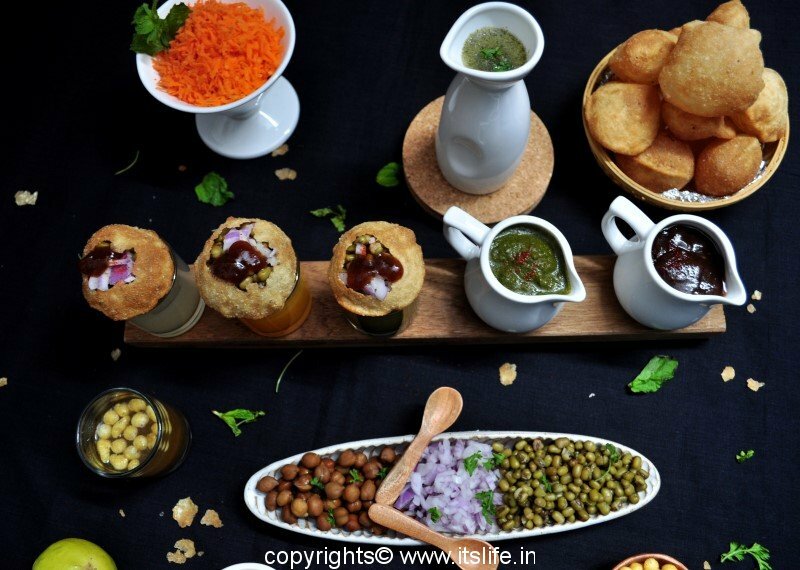 Take a Puri and break one side of the puri without damaging the base. 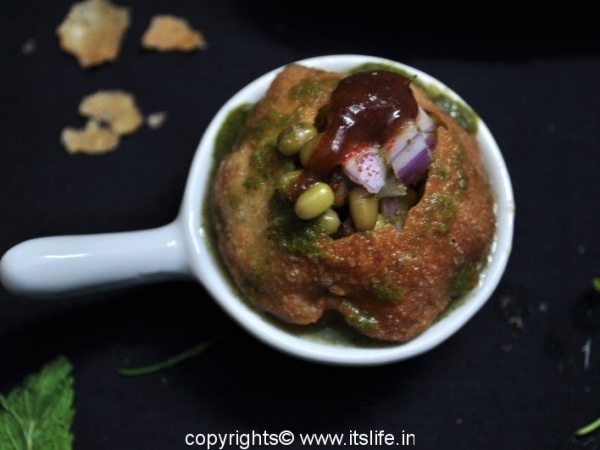 Fill a spoon of Green Gram and half a spoon of Onion. If needed, add Sweet Chutney. 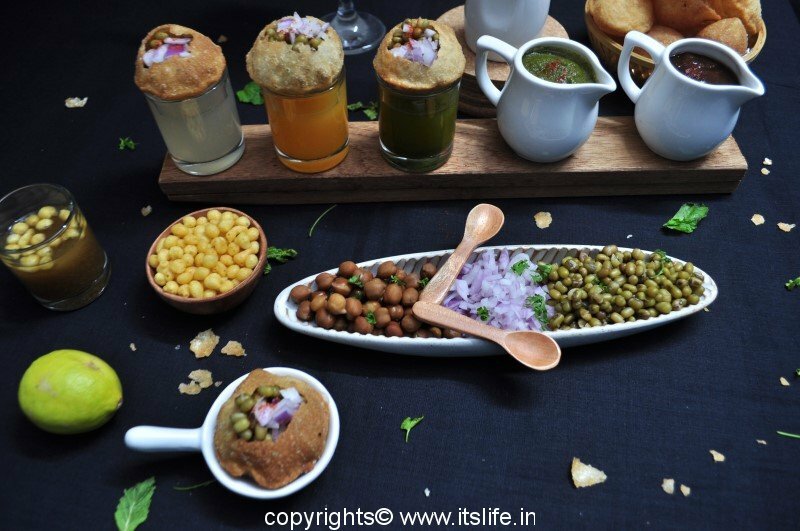 Now dip the stuffed Puri in the tangy water and remove it by filling the tangy water in it and serve immediately. 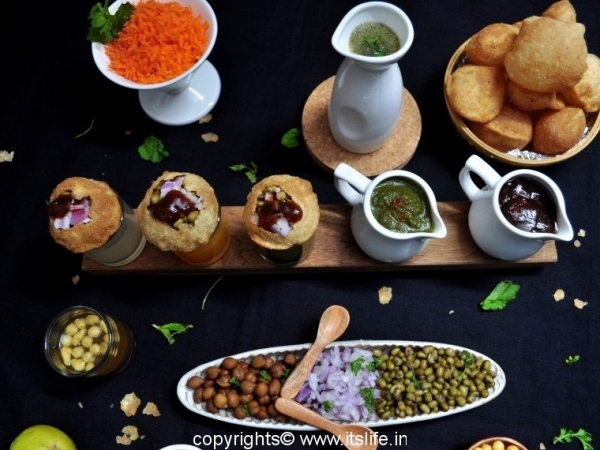 Manju, Pani Puri is a great fun food. Hope it turns out well.